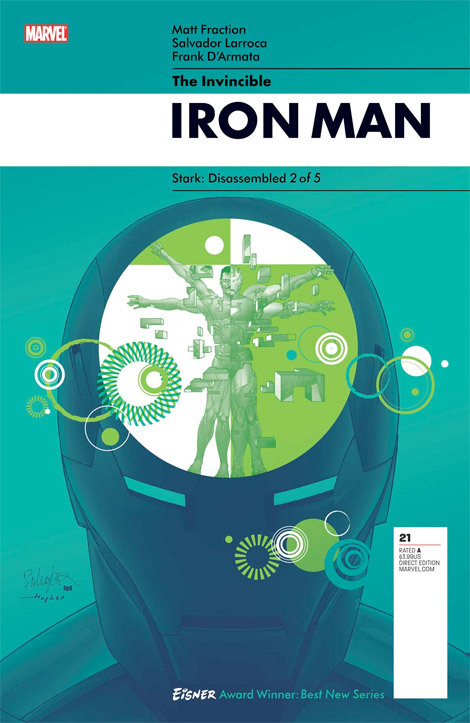 Pleasantly surprised to come across these new Iron Man trade covers for the Stark Disassembled story arc (via Ffffound). Here are 2 of the 5, very much looking forward to seeing the remaining three. They resemble old Pelican book covers, something I’m not accustomed to seeing come out of the comic industry. 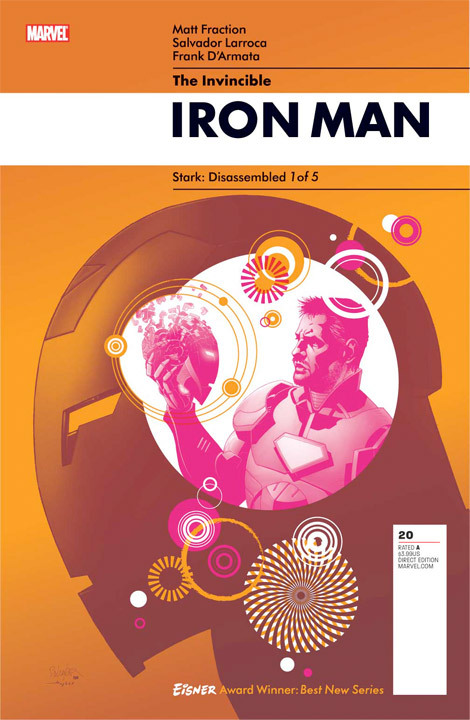 According to Matt Fraction’s website, the covers are by Salvador Larroca and Frank D’Armata, and design by Rian Hughes. 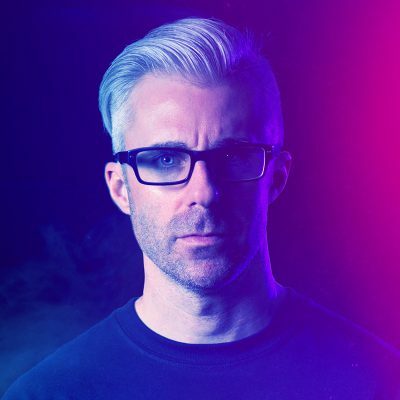 Beautiful work. Definitely looking forward to picking these issues up for the story, cover and art. Major props to Salvador/Frank on the amazing covers but from what I have seen recently, Jonathan Hickman is the main guy who brought this style onto comic covers. i am subscribed to this comic currently good stuff.